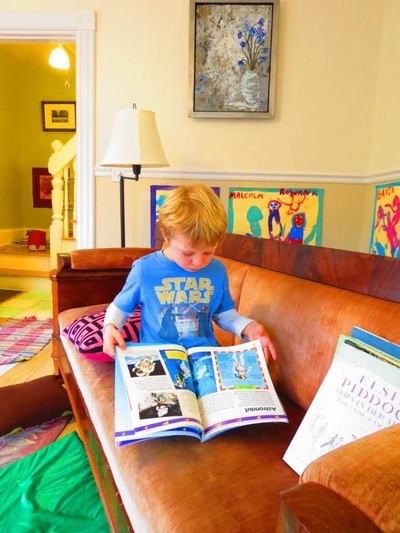 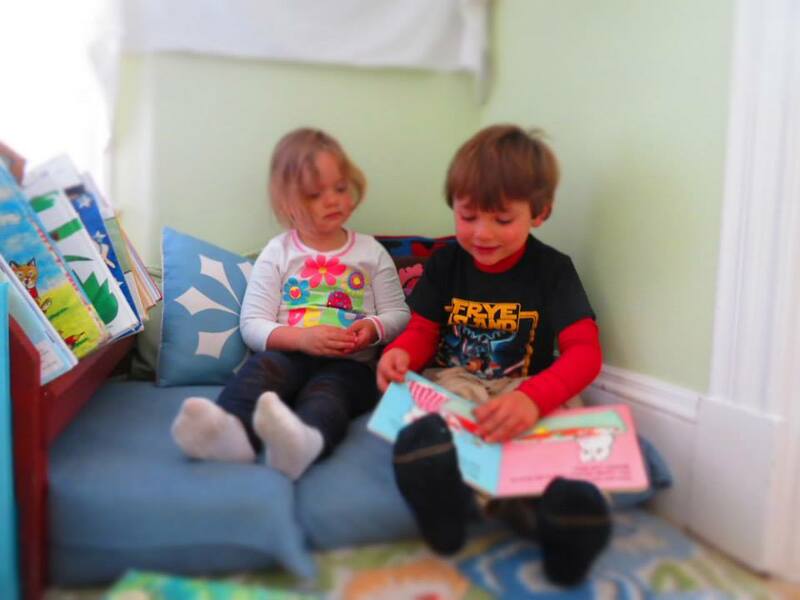 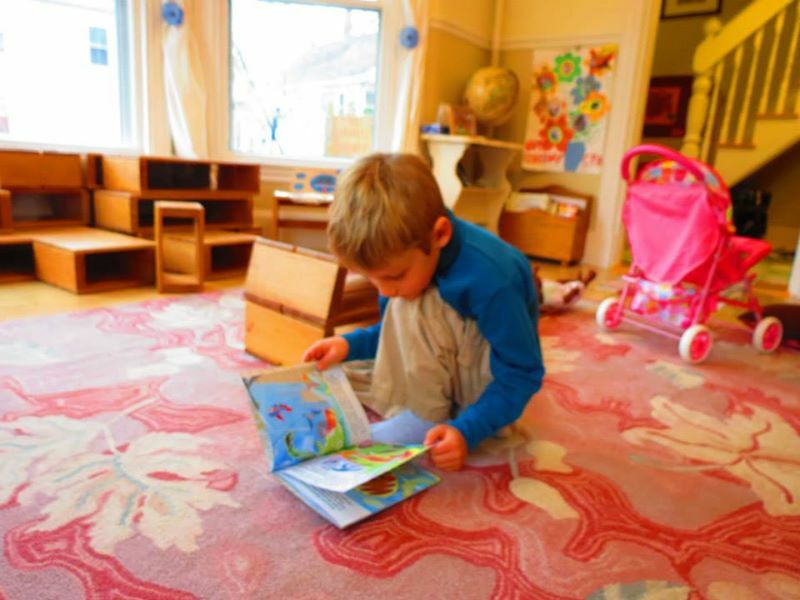 Reading happens all the time at the Creative Play House! 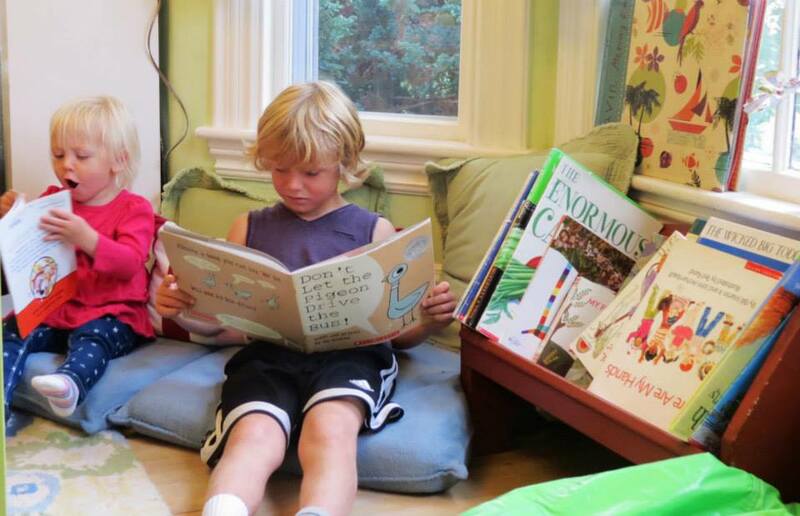 We follow the motto "drop everything and read!" 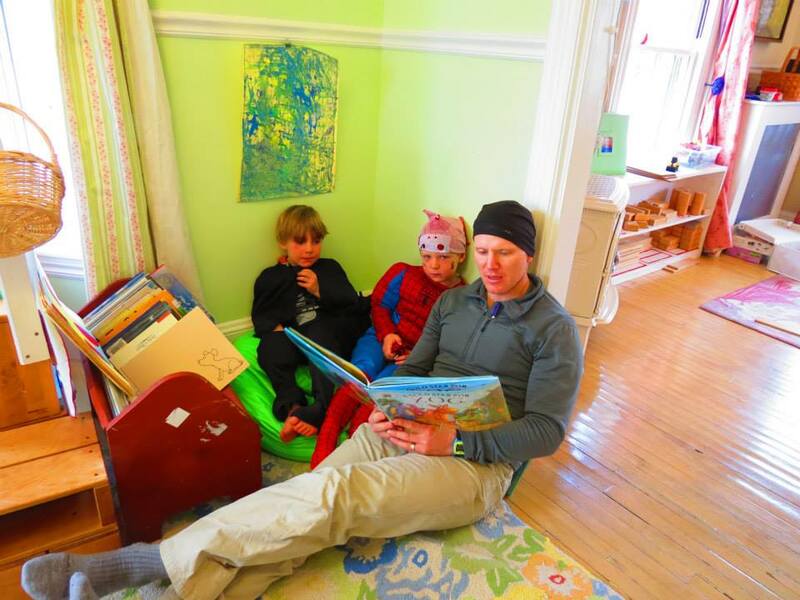 Parents often read a book to their children as a transition to saying goodbye in the morning. We read to the children during free play time upon request, at snack and lunch times, and sometimes at group time. And, you will find children reading books on their own often throughout the morning. 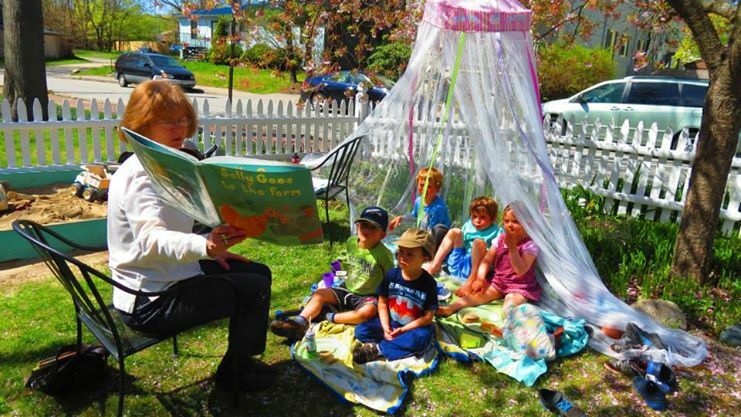 We are fortunate to have a volunteer grandmother figure who comes to read to us once a week at snack time, as well.